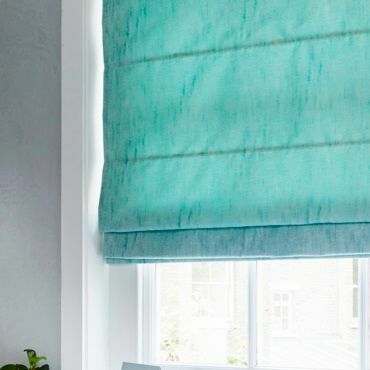 Bright and breezy, our beautiful blue blinds will refresh your windows in an instant. Simply select your favourite hue and we’ll take care of the rest. The breezy azure tones of this new collection create a sense of purity and calm in the home. In our style challenge Daisy Lowe has chose sky blue, ivory and classic French navy for her bedroom scheme, with metallic touches bringing a warm, luxe feel to the cool tones. Loads of gorgeous fabrics and finishes to choose from. We’ll bring them all for you to browse during your in-home appointment. Blue Roller blinds are cool. It must be that oh-so soothing shade. Blue Vertical blinds will bring a touch of cool harmony to your décor. Our blue Venetian blinds come in a range of shades from Ice Blue to Sapphire. View our blue Pleated blinds, available with blackout and thermal options. Blue blackout blinds are the ideal choice for creating a soothing, sleep-friendly bedroom. From the bright azure waters of the Maldives to the deepest aquamarine of the ocean floor, we share the coolest looks inspired by sea. Keep your home on the straight and narrow by introducing stunning stripes to your interior. Cool is relaxed style – the kind of on-trend zen found throughout our blue blinds collection. Plain blue blinds are soothing and calming. Light shades inspired by the summer sky are ideal for carefree living areas. But deep Atlantic-tinged tones are a must for creating a sleep-easy bedroom. Of course, browse our printed range online and you’ll discover so many different kinds of blue blinds. There are classic stripes, heritage patterns, painterly designs, gorgeous florals and more to choose from. 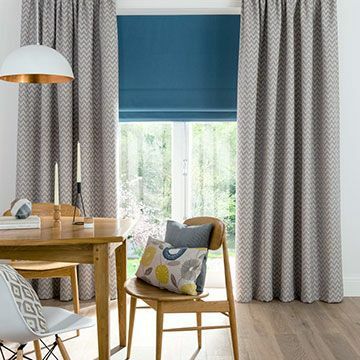 Once you’ve an idea of the blind you like, book an in-home appointment and see how each design looks in your home with your furnishings and your colour scheme … it’s the only way to be sure that what you choose is what you want. The most important thing about choosing blue blinds is finding the shade that suits your décor. With Hillarys, you get to see how the designs work with your interior during your free home appointment. 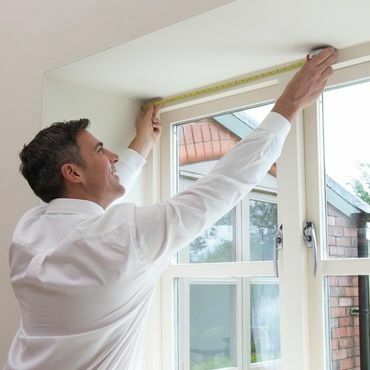 One of our expert advisors can help you choose, offering you all sorts of style tips and even measuring before giving you a no-obligation quote.